The Forgefix Rimless Wall Plugs can be inserted to depths below the surface of the base material. 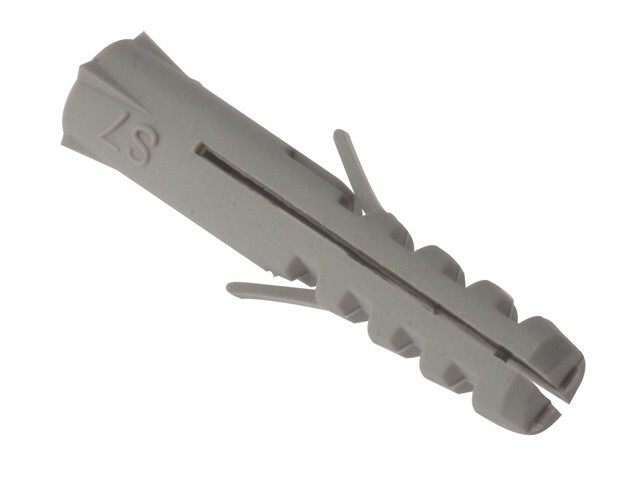 Their sprung anti-spin fins provide a two-way lock, preventing spinning and loosening from overhead applications. Due to this precise two-way expansion, the plugs are suitable for close to edge applications. Ideal for both lightweight and medium-duty fixing applications. Ideal for fixing wall lights, shelving and cupboards. Often used for satellite dish installation. Suitable for most types of threaded screws including multi-purpose, general purpose, coach screws etc. Not suitable for Machine Screw threads.